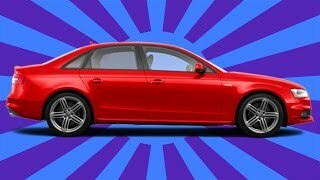 An in depth tour of my new Audi S4. I go through all the features, exhaust clips as well as explain why I chose this car over many others. The exterior color is Glacier White with a Magma red leather interior. Idk if you still have this car, but if you do, it's been a couple years now. How has reliability been? Has it gotten expensive to own? & Have you had any thermostat or water pump issues like other people have with this model year? I had this car for 3 years and my transmission actually went out. Probably just one of those fluke things since their engineers had never seen this happen to such a new car. Once that happened I just upgraded to the 2018 S4 - no problems so far. I never had the problems you mentioned though. Dont take so long to explain thing jeeez, you do it in 5mins.We already know what light switches are, btw everyone uses cds. Find your harmony with Andrew Rayael ? Daniel groza yup, you know it! 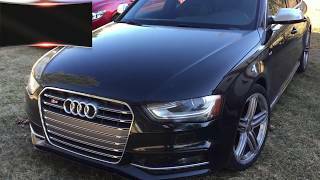 Can you stream music via Bluetooth with Audi s4 mmi system? I currently have a I phone 8 would it still link up to the stock stereo or would i need and adapter? Great Review ....what did you do to set your touch unlock and lock options? You've earned a sub today bro. BEST review of this car on here. I was thinking about getting one myself and most of these videos never go into deep detail like this and you nailed it. Keep putting out great quality content like this brother. How reliable is the car? I want to buy one, but I'm scared about expensive repairs. I haven't had any issues but the car isn't even 3 years old so I can't really talk for it's long term reliability. 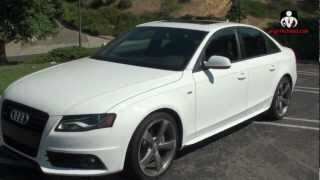 I just purchased a 2014 S4 Glacier White with 3700 miles. I feel so freaking lucky I found this car. Love it, it also has a two tone interior I believe they call it Mocha/Black. I have seen the Red, White, and Grey Black Interior's but never this brown Chesnutt color. great video, its time for me to change my thumbnail. Man, it's crazy I've been in the same spot as you - love my G37s 6MT, but this will be my next car - going next week to purchase! Thanks so much for the video. It's so good to see I'm making the right choice. Cool, sorry I was wrong and being an idiot. I thought the badging on the side, meant it was a V6T (Turbocharged) 😶 Any reason why you didn't go for an rs4? Great video. 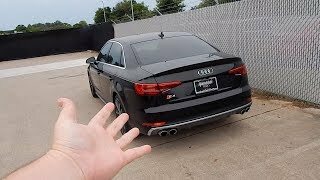 I had a 2009 Audi Ibis white (thumbnail) sold it awhile back for a Mustang GT, customized it for the track.... had fun, and like my other post just traded it in for a 2014 S4, I always wanted one.. Now I have one. Thanks for the video upload. no problem man, the badging is very misleading - not sure why Audi puts that 'T' in the S-line badging when they're all supercharged. As for an RS4, as far as I know they aren't available in the US in recent years and also I'm not a fan of the avant look that the RS4 only comes in now. It's turbocharged not supercharged you idiot V6T? What do you use to wash/detail the car? 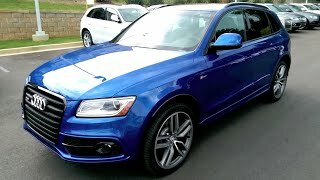 I recently bought a 2015 S4 and would love this information. Thanks! beautiful car, whats the price on one of these bad boys? +Rich Nieto S4 starts around $47k I believe. wanna be the best youtuber ever and tell me the exact packages you have on your car?! (like I want an exact copy of yours, just in black haha). I'm close to graduating and this might be my first car purchase. Please and thanks! +Rich Nieto The grille on the black optics or "titanium package," is the same as the base grille -- it's just blacked out. The mesh type grille is pulled from the RS models. 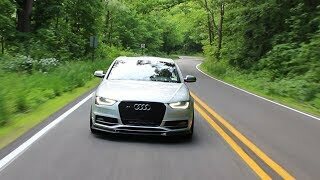 I've seen people add them, but Audi doesn't offer them as an add-on to the S4. Just fyi. +Dom This S4 is fully loaded. It's a prestige model and It literally has every option available for it (navi, side-sensor warnings, tech package, bang and olufson sound system upgrade, etc) except the black optics package which adds different style rims and a black mesh-style grill. I'm considering a 2013 S4 Prestige in white/black leather interior. Your S4 is really nice. Love the interior combo against the white paint. Glad you're happy with it. 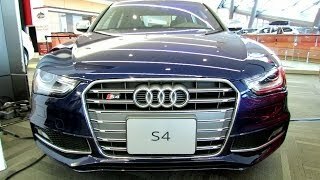 The 3.7 VQ motor doesn't compare to the S4's 3.0 s/c v6. Love that intoxicating guttural growl of a nicely tuned German motor. I currently have a boosted C6 Vette, but am wanting to venture into German sports luxury. I was considering a 335i or 135i, but I feel that the Audi is just leaps and bounds beyond the BMW, especially when it comes to interiors. 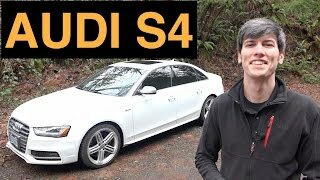 S4 is a tough car to beat when it comes to price vs amenities. +Rich Nieto I totally agree! Ok, This is weird... I currently have a Black G37 coupe and I have a test drive today for a 2013 S4 (the weird part - white paint, black and red interior). Like you, I need something more practical. I love the sound of my G37 I think it's a great car but I really like what the S4 can offer. I have a couple of questions for you Rich (hoping you still monitor this). - Did you get Winter tires? If so did you slap them on the stock rims or get new ones? - how's the fuel economy when comparing the G37? - Are you spending more of fuel? - are you more satisfied, less satisfied or as satisfied with the exhaust tones compared the the G? Thanks so much for the excellent video. Very informative. +___ ___ right on point there. Don't get me wrong, the E class is an amazing car but if you're looking for that aggressive ride then it will certainly bore you. 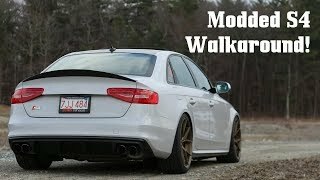 I think out of all the cars you mentioned, the S4 has the perfect all around balance between performance style and luxury. Either way you can't go wrong with any of those cars! +Rich Nieto Excellent! The car has the Sport diff! +Rich Nieto Awesome info Rich, I really appreciate it. I have my test drive in a couple of hours so I'm looking forward to that! Anything you recommend that I should be looking for as far as warning signs? Thanks again for the excellent info. Keep up the great work! How much did you pay on this car and how reliable has this car been to you? I ask because I am interested in these cars, and how reliable was your g37coupe that you had before? 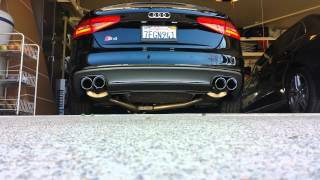 B8 S4s are solid. 2010 had a thermostat & water pump issue, but it was corrected by 2011. In my opinion, the refreshed models -- B8.5 (2013-present) look better than the B8 (2010-2012) & they're even more solid. Awesome cars all around & very reliable. +Jawskillaful It's fully loaded, minus the black optics package and came out to just under 60k. I've had the car about a year and haven't had any issues - I would hope a new car wouldn't turn up any issues for several years. I also never had any problems at all with my G.
one thing i dont like about the car is that the exhaust sound is fake and not its true range. Still no issues with it and still happy with it?? Looking at a 2015, which is basically the same thing minus a few small updates. +quinyboties I have had no issues at all after a 18 months. I&#39;m totally in love with the car and would recommend it to anyone who is considering one. Also, if you live in an area with cold/snowy winters, add some winter tires and this thing is literally a tank in the snow with the audi quattro. What trim is this? Premium, Premium Plus, or Prestige? Manual is more involved, but the DSG is quicker. 0-60 with DSG is 4.4 -- manual can be as high as 4.9, with an average of 4.7. +Audio Fella thanks man. Yeah, but since it's my daily driver in New York traffic, I rather just take the auto and I still have fun with the paddle shifters when I want to. Should You Tune Your Audi S4?